Glenn is the owner of G.B. Fencing & Tree Surgery and has a wealth of experience in all aspects of the industry, including tree surgery, fencing and landscape gardening. Fully certified and with a focus on customer service, Glenn will be able to advise on the best solutions. Barry has been working at G.B. 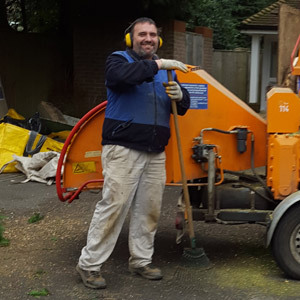 Fencing and Tree Surgery with Glenn for over 10 years, and is invaluable to a range of clients who he has expertly designed and installed fencing for, as well as certified tree surgery work. Founded in 2007, we’re based in Rudgwick, Horsham, West Sussex and work all over Sussex and Surrey. We offer our customers a full service experience when it comes to fencing, tree surgery, and landscaping and have built our solid reputation on offering quality services at fair prices. 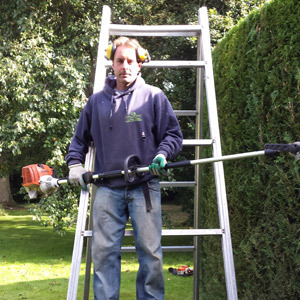 We are part of the City & Guilds Group NPTC and have the following certifications; NPTC Certificate of competence in chainsaw, CS30 – Maintain the chainsaw. CS31 – Fell small trees, CS36 – Cross-cut and stack procedure, CS38 – Climb trees and perform aerial rescue, CS39 – Operate the chainsaw from a rope and harness. As part of our services, we offer free quotations to give you the opportunity to understand all the costs involved and the exact work that will be undertaken. Once you receive our estimate, you are under no obligation.